Provides a reflective surface for roofs, metal buildings, and mobile homes. 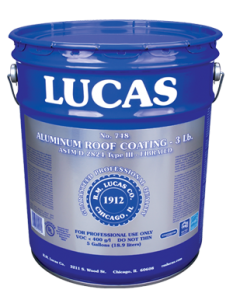 Formulated from specially refined asphalt, aliphatic solvents, reinforcing fibers and 3 lbs. per gallon of ASTM D-962 leafing aluminum paste.